In line with the Park System's commitment to the pursuit of ecologically sound practices, we have completed several solar projects. 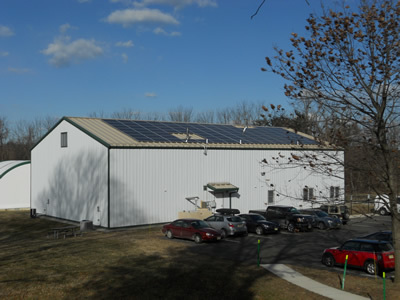 So far, the Park System has installed solar photovoltaic systems on five facilities. The installation of solar photovoltaic systems puts the Park System in the forefront in the movement towards renewable energy with minimal out-of-pocket expense. 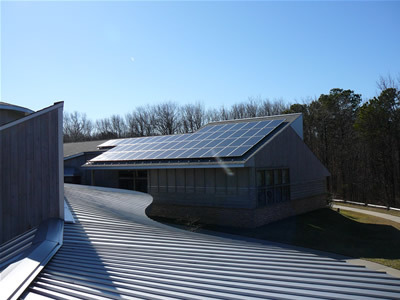 See performance data of the Creative Arts Center's solar power system. See performance data of Central Supply Building's solar power system. 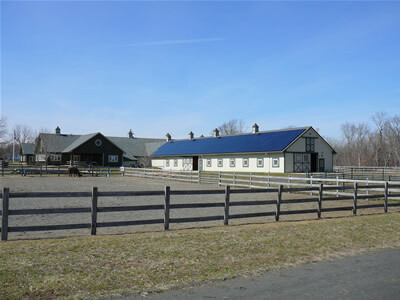 See performance data of the Sunnyside Equestrian Center's solar power system. 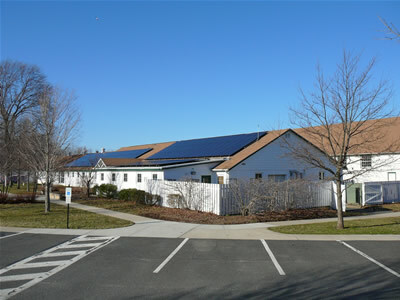 See performance data of the Manasquan Reservoir Environment Center's solar power system. 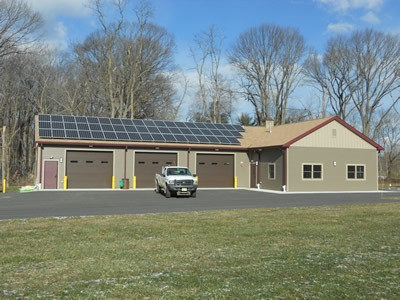 See performance data of East Freehold Showground Maintenance Building's solar power system. The Park System has received funding of $566,690 from the U.S. Department of Energy’s Energy Efficiency and Conservation Block Grant (EECBG) program, a portion of the total $4.2 million received by Monmouth County. The Park System is also receiving $175,752.50 from New Jersey’s Customer On-site Renewable Energy (CORE) program.